Conversion and immigration information about John Paul Kuenzler's family. Jacob Kunzler, listed in the July 23 1873 Deseret News Swiss Emigration manifest. The article is from the President of the Swiss Mission, Switzerland. They left Liverpool on the 9th July and arrived in Ogden, Utah around the 1st of August 1873. !Home burned the night of Sept 2/3, 1882. See Life story. !BIRTH-CHRISTENING-DEATH-MARRIAGE: St. Margrethen Parish Registers: 939188, 939189. St. Margrethen Family Books: 939190. 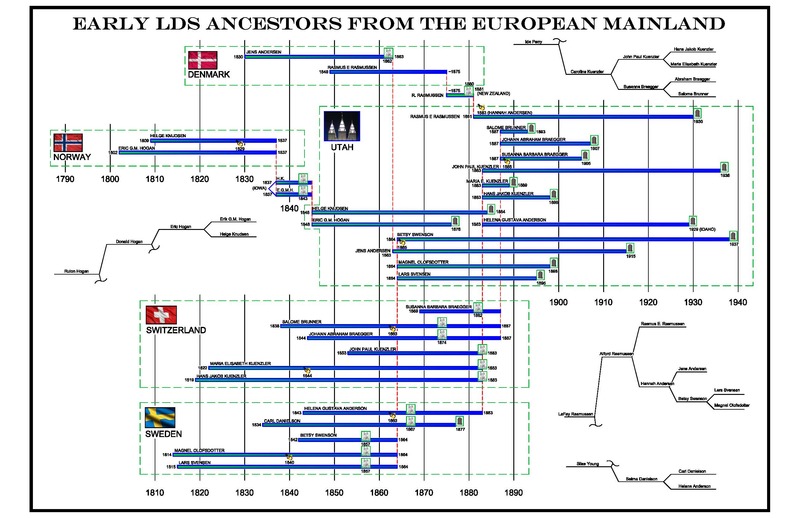 !BAPTISED: Baptised a member of the LDS Church on 31 Mar 1883 in the Rhein River.